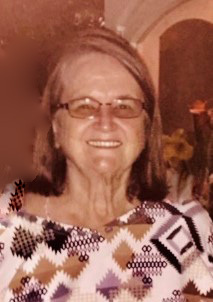 Karen Veronica Johnstone, 73, of Concord, passed away Monday, February 11, 2019 at Tucker Hospice House in Kannapolis. Mrs. Johnstone was born August 30, 1945 in Brooklyn, NY to the late Harold Carlton and Veronica Petoney Furlong. In addition to her parents, she was also preceded in death by her husband, George Albert Johnstone of Albany, NY. The family will receive friends from 12:00 - 12:45 pm, Friday, February 15, 2019, at St. James The Greater Catholic Church,139 Manor Ave SouthWest, Concord. The Mass will follow at 1:00 pm in the sanctuary. Survivors include: daughter, Janine Elizabeth Curlee and husband Joseph Andrew of Concord, Tisa Marie Johnstone of Concord; brother, Franklin Furlong of Seattle, WA; sister, Sandra Estes of Spartinburg, SC and several nieces and nephews. In lieu of flowers, memorials may be made to St. James The Greater Catholic Church, 139 Manor Ave SouthWest, Concord, NC. 28025 or Tucker Hospice, 5003 Hospice Lane, Kannapolis, NC. 28081. Hartsell Funeral Home of Concord is serving the Johnstone family.